Researchers devise new deadline trick: decide which deadlines are actually important 6 brilliant things people with emotional intelligence do under pressure 3 reasons to choose a college based on price 7 signs that you’re actually a problem employee That bad restaurant review you read on Yelp may have been influenced by this odd thing This iconic (and tiny) fashion trend will be all over your office this summer A guide to doing cocktails in Miami Emotional intelligence: what is it and how can you improve yours? 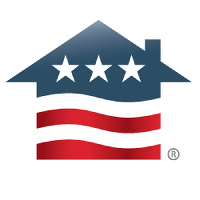 Veterans United Home Loans is seeking a web application developer to collaborate with Product Owners and other Software Developers in an XP/Agile environment, in order to satisfy our internal and external customers through early, frequent, and continuous delivery of simple high-quality and high value software. This position is on-site in Columbia, Missouri and will not be originating loans. Test-Drive high-quality, self-documenting code using Pair Programming Practices, Agile Principles, Clean Code Techniques, SOLID and other software design principles. Refactor older code as you work on it to reduce the Team’s overall value capacity backlog. Create intuitive user interfaces through front- and back-end design. Create and maintain minimal documentation. Strong OOP design and coding skills. Excellent communication skills with a passion for face-to-face over written communication. Excel in a fast-paced, results-oriented environment. Familiarity/experience working in Agile, Scrum, Kanban and/or Lean software development environments. Experience with XP practices, particularly Test-Driven Development and Pair Programming.